Includes 18 courses for $39/year. 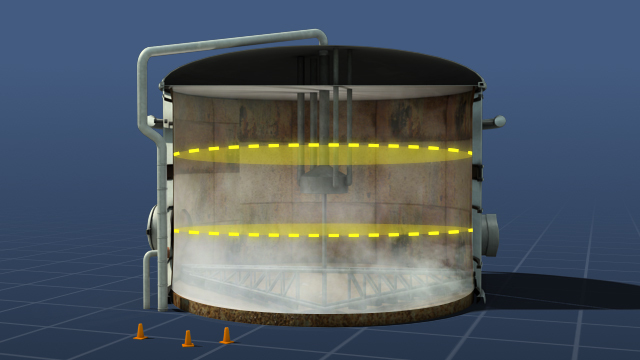 The air in a confined space needs to be checked at different levels because gases and vapors with different densities can cause layering within the space. The four basic types of portable gas detector sensors are catalytic, electrochemical, infrared, and photoionization detectors. 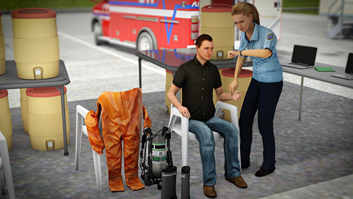 Multi-gas detectors are useful for emergency incident responses where multiple known and unknown hazardous materials may be present. 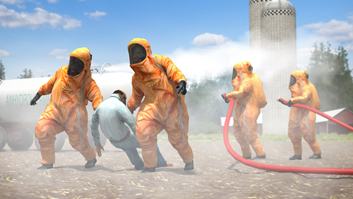 Airborne contaminants present the greatest danger to hazardous waste and emergency response workers. Air monitoring is required to identify and quantify airborne hazards, so appropriate protective measures can be implemented. An air-monitoring plan must be included as part of a site-specific Health and Safety Plan (HASP). This module will discuss the requirements of an air monitoring plan, the sensors used to detect hazardous conditions, and what actions should be taken based on monitoring results. What is the purpose of air monitoring? 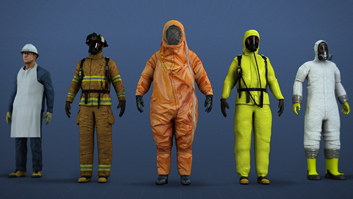 Air monitoring is required to select appropriate PPE, establish hazard control zones, assess potential health effects of exposure, and determine the need for medical monitoring and decontamination. 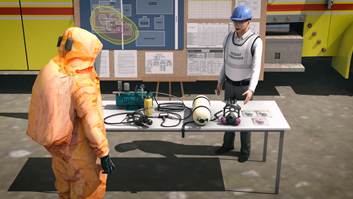 Upon initial site entry, air monitoring is needed to determine if the atmosphere is flammable, oxygen-deficient, or immediately dangerous to life and health (IDLH). Direct-reading instruments measure the concentration of contaminants as air is sampled in the field versus collecting samples and measuring them later in a lab. What is the difference between %, ppm, mg/m3? Percent (%) is the proportion of gas molecules out of 100 molecules of gas and air. PPM is parts per million and is essentially the same as percent but out of one million molecules instead of 100. Typically, ppm is used for concentrations under 1% (10,000 ppm). Mass per unit volume, typically expressed in units of mg/m3 is used for concentrations of particulates in air. What is a multi-gas detector? 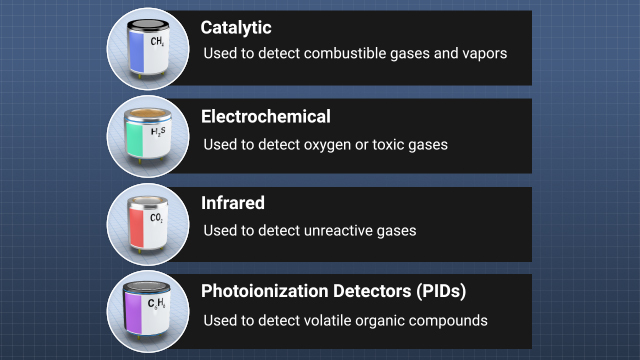 Multi-gas detectors can have several different types of sensors. Most multi-gas detectors can detect combustible gases, oxygen, and at least one toxic gas. What is the difference between a bump test and a calibration check? 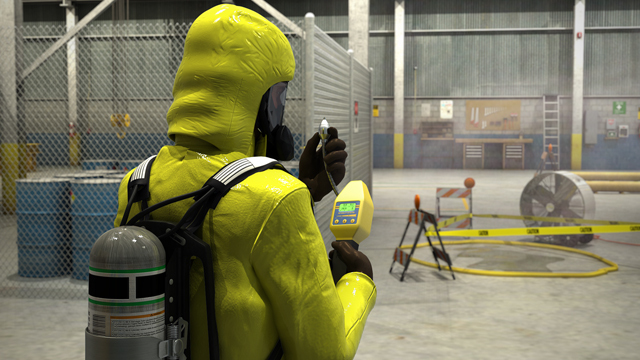 A bump test involves exposing a sensor to a test gas of a sufficient concentration to cause the device to alarm. It is a qualitative function test. A bump test does not determine an instrument's accuracy. A calibration check involves exposing the sensor to a test gas of a known concentration. A reading within 10% of the calibration gas concentration is usually acceptable. Air monitoring is a required at hazardous waste sites and during incidents involving hazardous materials to protect the safety of workers and the public. 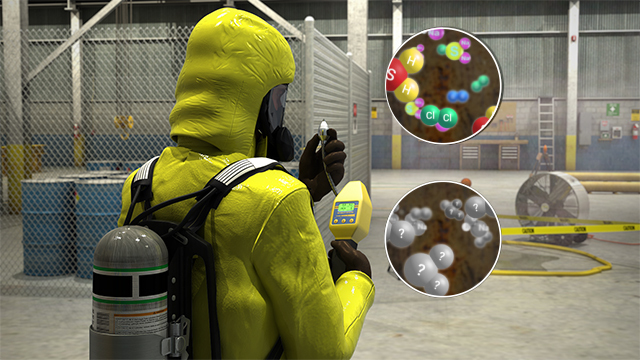 The air needs to be tested to identify and quantify all airborne hazards. This involves testing the atmospheric concentrations of oxygen, combustible gases, and toxic gases. Different sensors are used to test for different gases. Multi-gas meters are popular because they combine multiple sensors into one instrument. The key to maintaining a safe work environment is maintaining and calibrating the gas detection equipment, so they work properly and measure accurately.